Community Services from Security Storage & Van Co.
As a local company, Security Storage & Van wants to give back to the community as much as it has given to us. Over the years we have not only donated money but our time and services as well. We understand that without the support of our community that we would be unable to remain a successful business. Every year we have planned events that we participate in, in the hope of giving something back. 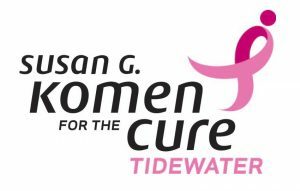 Throughout the year, Security Storage & Van, supports initiatives to raise awareness and provide support for Susan G. Komen of Tidewater. Especially during Breast Cancer Awareness Month, October, we shift into high gear proving additional support including transportation of Suzy, The Pink Ribbon Maiden and helping move race day supplies. Finding a cure for breast cancer is especially important to us. Each year, more American are affected by breast cancer than any other cancer. Breast Cancer is the most common form of cancer among women, it is estimated that nearly a quarter of a million people will be diagnosed with it in 2016. Every year we partner with the Salvation Army for four weeks to collect school supplies. We provide all the transportation for the supplies and employees to help sort and deliver the items. We know that the youth of today is what will continue to drive our success in the future. This past year Old Dominion University started its very first football program. 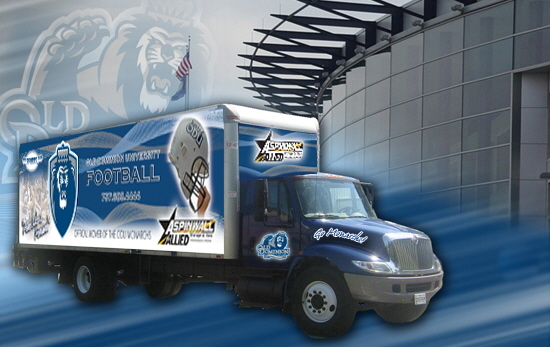 In the hopes that we could do something to give them a push to succeed we donated a brand new truck decorated with ODU graphics for the football team to use. Not only did we donate a truck but we hired almost their entire football team for the summer. Most of the athletes will be working so hard during the season we knew that the chances of them working during that time would not be possible. We know college is very expensive and extra spending money is hard to come by. We also donate money to Old Dominion University’s basketball program every year. One of the most exciting times of the year for us is the annual parades on Christmas, and St.Patricks day. We provide fully furnished trucks for the local 4-h club, pony club and the Shriners. At Security Storage and Van, we are continuing to look for more ways in which we can give back to our community. There is nothing more important than helping the people around us that have already made us the success that we are today.